Product-related news items of general interest should be accompanied by a formal press release with basic descriptions, finish options, pricing, a photo 604px or wider and a valid web link. Event news should have venue, date, ticket and registration information plus a logo and website link. We only publish product news on items you can actually buy now. We won't publish product news about items a manufacturer promises to build if enough people pre-pay (crowd funding). Exklusive – That would be Audio Exklusiv's new R7 tube preamplifier [€25'000] from their Reference range. It spreads across multiple 10mm thick chassis and benefits from a claimed 2 years of intense R&D. There are a total of six transformers for a colossal 420 watts of power considering line-level signal. There's a four-gang 63-step Khozmo attenuator. The voltage gain tubes are ECC82, the rectifiers GZ34. The world premiere of this machine will be at the HifiDeluxe show in Munich. P for Parasound & Pascal – With their NewClassic 200 integrated amplifier [$1'195], the San Francisco firm combine a DAC/pre with a 110wpc Danish class D power module from Pascal. "The NewClassic inherited from our premium Halo product family their home theater bypass and crossover functions with adjustable 40-140Hz high-pass for the L/R outputs plus full-range and sub 80Hz sub outputs. Burr-Brown DACs were chosen for their musicality and reputation. Additional convenience and custom installation features include presets for both turn-on volume and favorite volume, a bi-directional RS232 serial port with Control4 drivers, rear panel IR repeater input and 12V trigger output. Input level offset ensures that sources with varying output voltages play at the same level. The dimmable LCD display plus a built-in library of 28 words makes it simple to name each input for the source device connected to it. The back-lit remote includes adjustments for balance, bass and treble, subwoofer on/off and even subwoofer level. The bypass input enables a direct connection to the amplifier stage to facilitate integration with surround-sound systems or for connecting a streaming device with its own volume control like a Sonos Connect." Triangulate the CD circle – With the new Gryphon Ethos, you can. Both a dedicated CD-only player (no DVD, no Bluray, no SACD) and a 384PCM/DSD512 DAC with USB, BNC and AES/EBU inputs (the latter is duplicated also as a digital output), this is a fully balanced no-feedback machine built around the Sabre ESS 9038Pro 8-channel DAC. As such, the transport is followed by selectable asynchronous upsampling to allow a very simple 1st-order filter executed with a silver mica capacitor even on CD playback. Naturally the output stage is a heavily regulated fully discrete class A affair on 23V rails. 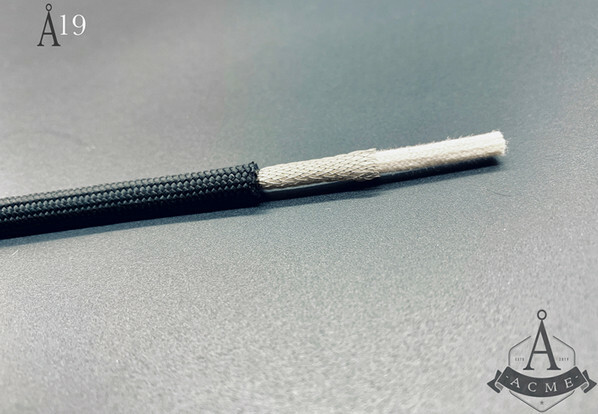 Floundered – That's not failed but flattened out as in, inakustik's new Reference LS-804 Air speaker cable [€1'099/pr/3m] which no longer is helical but arrays its four conductors in parallel like a ribbon. "In this way, the electrical parameters of capacitance and inductance are yet again finely tuned to each other. The division into several smaller separate conductors also reduces the skin effect. In conjunction with Air technology, i.e. the omission of insulation material which would absorb part of the energy like a sponge, even the Reference LS-804 AIR is capable of following very fast impulses." Tada 1.2 – Raidhos's new TD1.2 monitor [€20'500/pr] declares that "after months of hard work, we are happy to present our new in-house developed mid/woofer with a new unique design of both the magnet system and rest of the unit. The chassis is designed to have minimum influence on the airflow and seeks to eliminate reflections inside the enclosure. This results in record-low distortion. The TD1.2 uses our new 5-layer tantalum/diamond cone with increased inner damping in combination with our new proprietary edge-wound titanium voice coil with drastically improved magnetic field and increased power handling. Combined with the unique driver design, this is the strongest under-hung motor on the market (1.1 Tesla/patent pending). "The TD1.2 also incorporates our redesigned ribbon tweeter already used in our TD4.8 and TD4.2, utilizing a more powerful magnet system and optimized acoustic shape of the rear chamber for much higher resolution and a distortion level reduced by 35dB compared to the already extremely low levels in our old ribbon tweeter. The crossover was completely redesigned with maximum focus on correct phase response at all frequencies while maintaining optimal impulse response. The new driver and optimized crossover also leaves room for smaller amplifiers since the sensitivity is heavily improved. The TD1.2 is now an easy load for most amplifiers." Be amp – That command inspired the French B.audio brand to add the new B.amp to their roster. "The B.amp is a bridgeable power amplifier engineered to be used in stereo mode while being primarily a fully symmetrical mono block. This design ensures optimal performance in both modes. The operating scheme is the result of numerous computational simulations followed by intensive acoustic testing. 10-year R&D led to electronic refinements that meet the brand's high level of musical excellence. The output transistors operate in class AB, providing a large power reserve. Our Intelligent Output Drive (IOD) technology makes use of local feedback and eliminates associated crossover distortion. All other stages operate in pure class A, including the driver part of the output stage." Power specs are 120pc/8Ω stereo which scales to 300w/8Ω in mono. Inputs are RCA and XLR, dimensions are 45 x 38.5 x 11.2cm WxDxH and weight is 20kg. Line source– Credo of Switzerland bow their Cinema LTM which stands for "La Tour Maubourg. This was the project name for a very special job that we were allowed to carry out in Paris. For a gigantic audio system that meets the highest sound requirements, it was necessary to develop and build loudspeaker systems that can be described as uncompromising in every aspect. Over a period of two and a half years, the process of development and production took place. We had the opportunity to fundamentally investigate problems and develop unique solutions as a perfect basis for creating a completely new speaker as a spin-off." 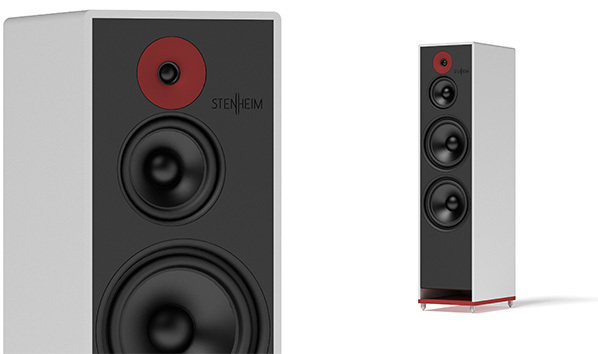 The speaker is a passive 3-way with 32 x ring radiator tweeters spaced just 0.7mm apart. 14 x 4" fiber-glass midranges with neodymium magnets play down to 100Hz. Now 4 x 12" woofers with almost 60mm stroke install on the side walls. The 12mm front baffle is a cast polymer of bauxite. Despite the massively paralleled drivers, sensitivity is only 85.5dB but bandwidth is 16Hz – 20kHz ± 2.5dB. Weight is a combined 155kg and size is 187 x 70 x 27cm HxDxW. Alumine The Third – Not British but Swiss royalty, that's the latest Stenheim floorstander in the firm's signature solid aluminium enclosure. It's a 4-driver 3-way with highish 93dB sensitivity measured in half space. 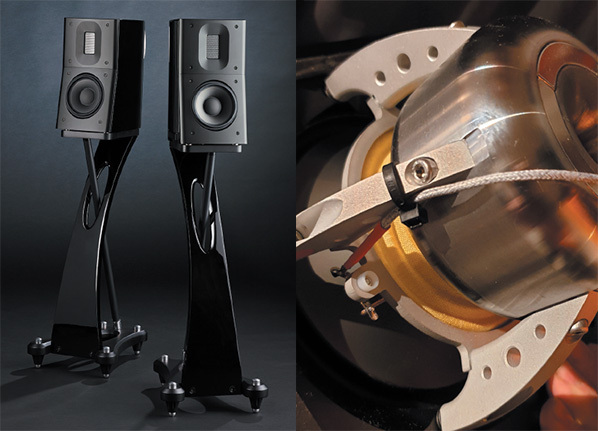 A neodymium-powered tweeter tops a 5¼" midrange which sits above two paralleled 8" woofers, the latter vented through a frontal "laminar flow" port. Useful bandwidth is 32Hz – 35kHz, minimum recommended power is 10 watts, nominal impedance is 8Ω which doesn't drop below 5Ω, dimensions are 105 x 25 x 33cm HxWcD and weight is 70kg/ea. 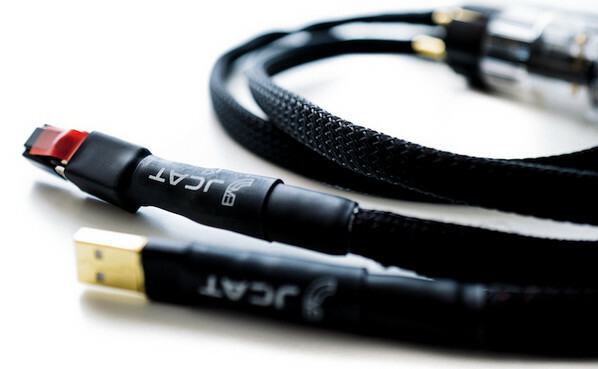 Wire up, don't wind down – Akiko Audio of Holland just added an installation cable to their range or products. "We consciously chose XLPE for our dielectric because of its excellent insulating and mechanical properties. We believe that our XLPE installation cable offers great quality for a beautiful sound." The cable consists of three 4mm² copper conductors. The very effective EMI/RFI shielding is a braided and tinned copper braid which adds to the mechanical stability of the cable. The outer sheath is free from PVC. SIC(k) amplifier – Nino Pistone of Sicily's audiozen annonces his new class A/B 200/400w into 8/4Ω monos. Each gets eight silicon-carbide power Mosfets, two rectifier bridges, a 625VA power toroid and 25'000mF of capacitance. "Silicon carbide improves speed over regular silicon Mosfets by three times, lowers distortion by a factor of 10 and has three times higher thermal conductivity" to, he feels, make for ideal audio amplifier output devices and his amplifiers one of the very few to use them. Gamma vision – exaSound Audio Design present the Gamma Music Server to "offer the best proprietary open-source digital audio technologies in one compact and elegant component. Heavy-duty silent high-performance hardware and an exaSound-built lightweight operating system offer streaming to virtually all audio devices. Roon Core delivers intelligent music management on hard drives, NAS and streaming content from Tidal and Qobuz. UPnP server offers bit-perfect high-resolution streaming up to DSD512 and PCM768kHz/32bit. 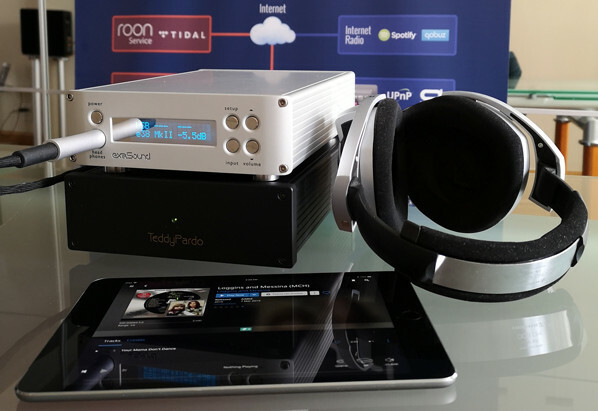 Special integration with exaSound DACs offers flawless user experience and exceptional fidelity. 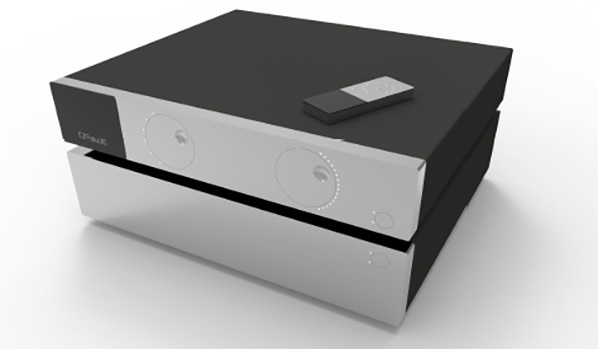 The exaSound Gamma can serve double duty as server and player/renderer when any exaSound DAC is attached via USB. Unique asynchronous packet streaming over USB developed by exaSound guarantees that CPU load from multiple server tasks does not affect the timing accuracy and precision of playback." TanK – Encore Seven, a Polish manufacturer of valve amplifiers known under the brand Egg-Shell, present their new flagship integrated amplifier [€4'950] which "starts a new line of products called TanQ." This first model is a class A parallel single-ended KT88 20wpc machine supplied with either Genalex Gold or KR Audio tubes. "The new TanQ sits in a stainless steel and aluminium housing. It has a floating chassis for the power transformers which allows separation from the electronic elements and valves. 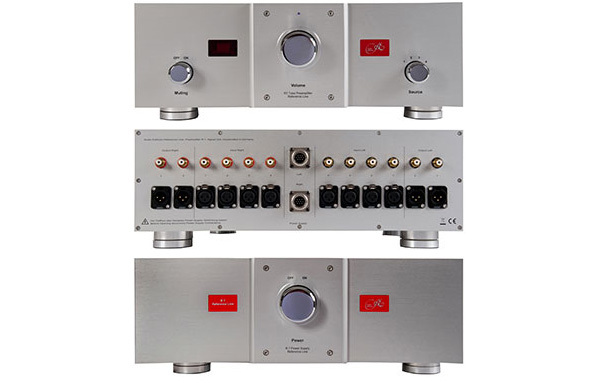 The power tubes display openly in a V-angle layout while the preamp valves sit behind a front glass cover. Each TanQ unit comes with a gyroscopic sphere remote. 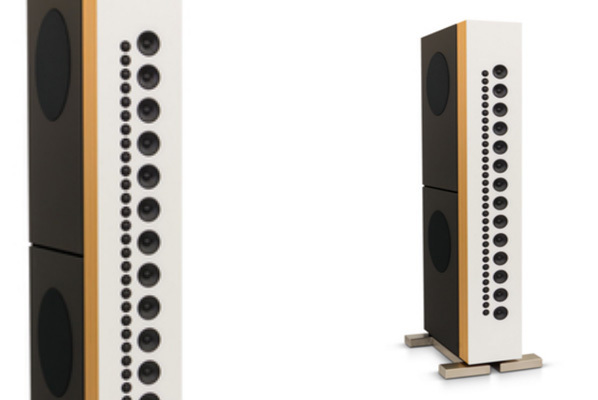 Three tall feet made of polished steel with rubber tips give the amplifier stability and eliminate vibrations. They also improve ventilation which is further supported with a quiet yet efficient fan. The number of the active output is illuminated with a Nixie tube. 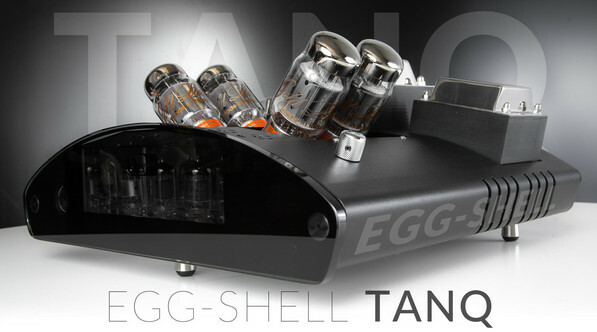 The new TanQ amplifier comes with a three-year warranty." Evolve – Apertura's new Armonia Evolution loudspeakers get a ribbon twice as large as Armonia's, "a brand-new crossover, new high-end parts and many other details." Available in five standard finishes, on demand there are also high-gloss and metallic paint options plus the plinths and spikes can be had in black or silver. Jay not fat cat – JCAT's new flagship USB cable [€900] and USB+LAN ground conditioner [€500] are "a big improvement for any digital USB and/or network source. We improve sound and image quality by reducing computer-induced noise. For the ground conditioner, simply connect the USB Type A lead of the cable to a USB port, the RJ45 lead to an Ethernet port on your music server, the AC plug to a wall socket and experience immediate improvements in background noise, dynamics and resolution. The cable is handcrafted using the best high-purity OCC copper multi-strand wire with advanced shielding. Available with EU, US & UK plugs. The Signature USB Cable is handcrafted using a mix of purest silver/gold alloy with silver/copper conductors in a special geometry for extremely high bandwidth." 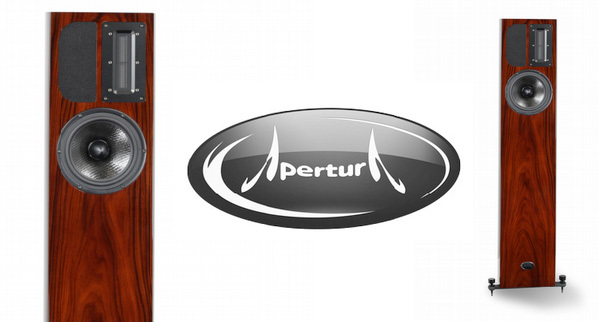 Merason – Daniel Frauchiger of dafraud GmbH in Switzerland announces a name change for his Purson-branded DAC which now is the first product of new brand Merason. There are no changes to the actual hardware. 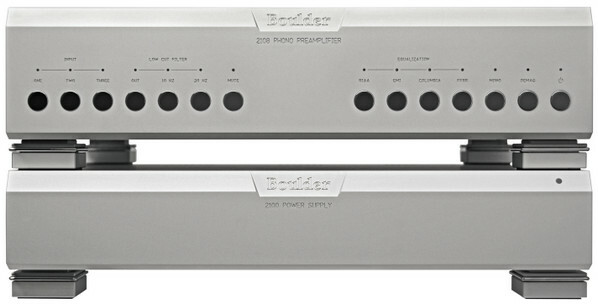 nCore NC1200 price break – Nord Acoustics in the UK launch their new Hypex NC1200 based power amplifiers. "Previously available only from £10K upwards, we launch at £3'795 with our discrete input buffers packed full of high-end components plus WBT solid silver 0705 Signature binding posts, Neotech output wire, Furutech rhodium XLR, Furutech copper IEC with Furutech SO22 mains wire and Synergistic Research Blue SR fuse." Available in stereo or mono versions in black or silver. 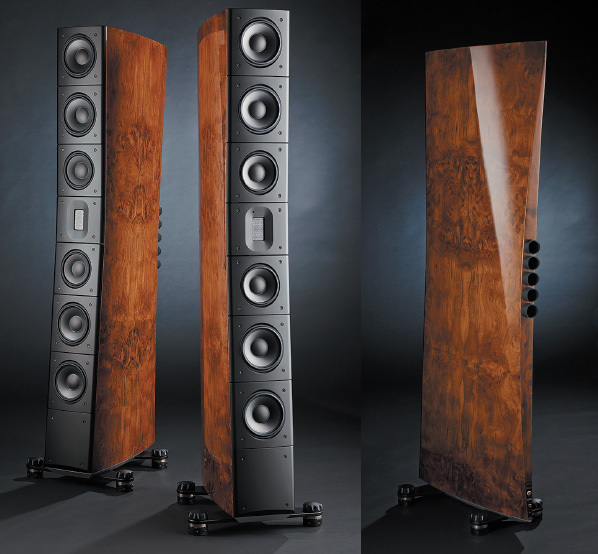 Tada -The TD4.2 [€100'000/pr in gloss black, €125'000/pr for Walnut burl and custom colours] is Raidho's new trickle-down of their TD4.8 flagship where tada is for tantalum/diamond drivers mated to the company's signature ribbon tweeter. "By adding a tantalum coating to the already excellent diamond, we have achieved an even stiffer 5-layer cone with yet higher levels of inner damping. In combination with the upgraded magnet system with new SD cap, stronger magnets and better voice coil, the TD4.2 will give you the qualities of the TD4.8 in a size a little more room friendly. The tweeter is upgraded with a more powerful magnet system, making it more sensitive. The internals of the cabinet are improved too, resulting in lower bass, a more natural sound and a huge soundstage." Extract more exa – Exasound bow "an upgraded version of our e38 DAC for sonic refinements and new features. The new ESS flagship ES9038Pro DAC chip increases by 4 times the internal paralleled DAC channels to bring more presence to the midrange. Redesigned reference voltage sources and master clock power circuits deliver more precise 3D imaging and more natural transients. Refined analogue output stages built with components with superb linearity and enhanced power lines offer lower noise and distortion levels, improving micro dynamics and bass reproduction. Redesigned main board topology offers reduced electromagnetic interference and reduced channel crosstalk resulting in better detail and resolution." Stellar Power Plant – Ps Audio bow their P3 [$2'199] as the lowest-priced most compact power regenerator they've yet offered. This one delivers 300VA of continuous output from three classic AC receptacles for all of your sources. That's built into the sleek chassis of the company's Stellar line. Remote control and MultiWave functionality are included. Orpheus – Ratzov Tsenkov Audio release their new hi-resolution USB converter with "Burr-Brown's flagship DAC with differential current output, passive I/V conversion with precision resistor and 1:4 step-up transformer and a Li-Ion battery power supply." Acme – The latest subsidiary of Chris Sommovigo's Stereolab LLC with his Black Cat Cable brand, "Acme is the name for the compartment in which I’ll be producing unterminated 'bulk' cable for hobbyists and colleagues. My first product is an elegant little hookup wire called A19 for Acme and the summed gauge of 32 fine tin-plated copper conductors braided around a 3mm Japanese cotton cord. The overall jacket is a black nylon mult-ifilament yarn though I can run various colors for custom orders. 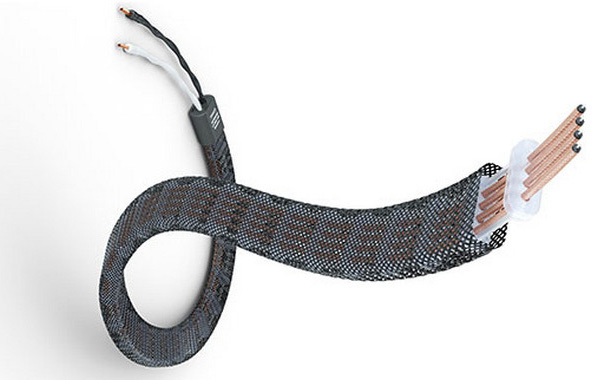 A19 can be used as internal hookup wire for loudspeakers and electronics, as a system-ground cable with existing grounding components, as loudspeaker cables in twisted pairs or multiple parallel lines to sum to higher gauges and even as interconnect cables in twisted pairs. Overall OD is 5mm. Retail price is slated at $10 per running foot and this product is available for immediate shipment by request." Vermouth is couth – Hendry Ramli's Vermouth Audio from Bali/Indonesia introduce their Reference cables with RCA/XLR interconnects and power cords, speaker cables still to come. 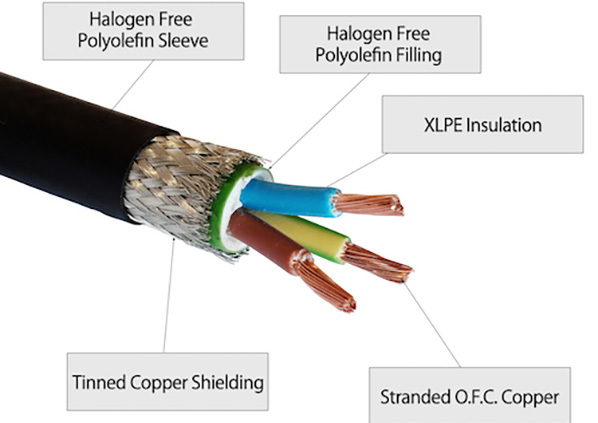 The Reference XLR shown uses OCC copper conductors in a double PTFE tape and mylar wrap with a braided OCC copper shield and air-tube spacer in a flexible jacket. The carbon-fiber shell plugs use rhodium-plated tellurium copper pins. Bolder Boulder – The 2018 phono preamplifier [$52'000] "features several substantial advancements in technology and performance over the previous generation 2000-level phono preamplifier through the use of better ground paths and planes, revised circuit topology and lowering of the static noise floor. Increased use of surface-mount PCB technology, manufactured on Boulder’s own SMD machines and ovens, has also yielded improvements in noise radiation, propagation delay, parasitic capacitance and the elimination of lead inductance in selected circuits. It also offers improvements in unit-to-unit quality and consistency with the added benefit of improved long-term reliability." For an itemized list of features, visit their website. Music | art | passion – Musical Artisans are about to host their annual open house on Saturday, March 9th, from 6:30 – 8:00PM. It celebrates the return of CH Precision and the introduction of Rockport Technologies to Chicago. Private sessions are available on March 8th and 9th. 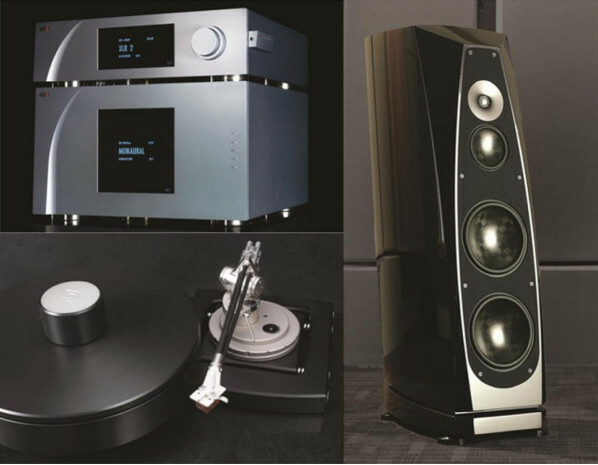 Ralph Sorrentino from CH Precision will be on hand to answer questions about their full stack including the new M1.1 amplifier driving Rockport Cygnus speakers with a DeBaer Sapphire turntable with Onyx arm and Argento Audio cabling. RSVP. TC – It could stand for taut control. But Joe Skubinksi of Abyss Headphones has it as total conciousness. 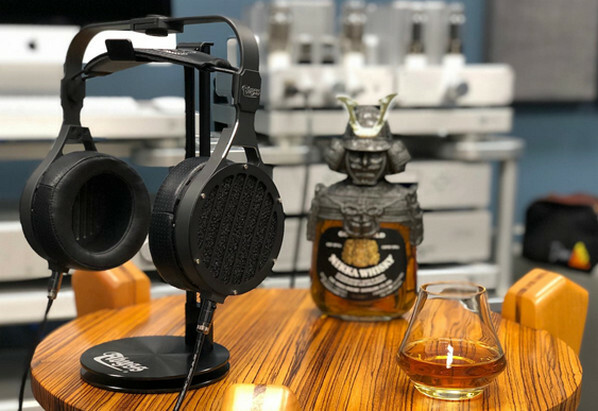 With this suffix to their AB-1266 Phi, we get a "newly designed 66mm planarmagnetic driver of the absolute highest resolution of any headphone ever made". The aluminium frame and lambskin ear pads have been revised as well and the finishing is a two-tone black polymer ceramic.